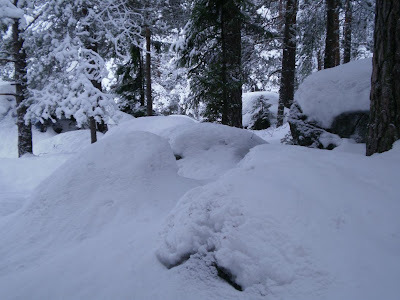 I took these photographs a month ago from a nearby forest. 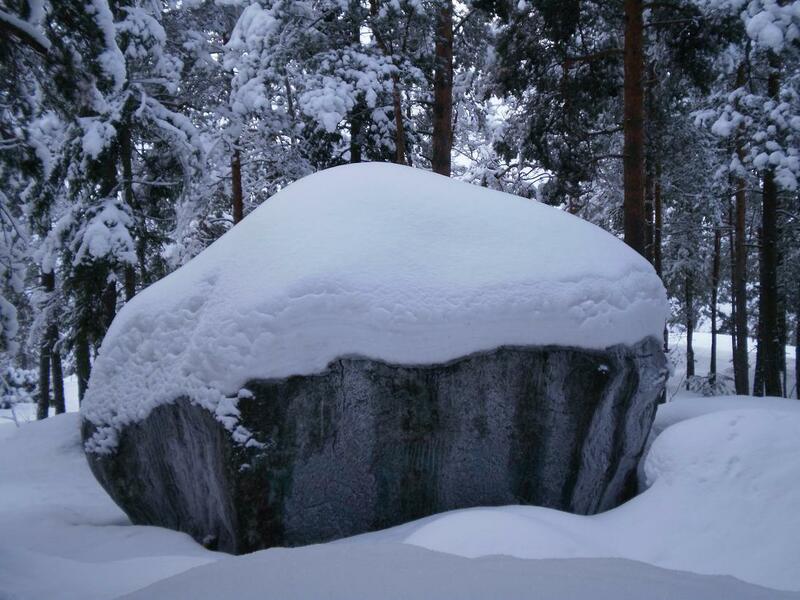 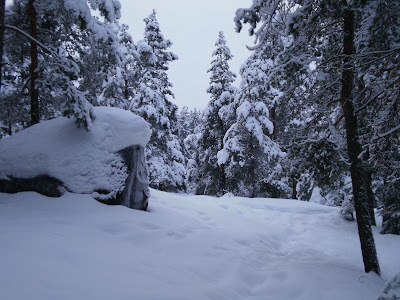 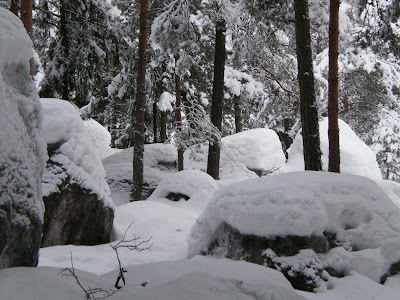 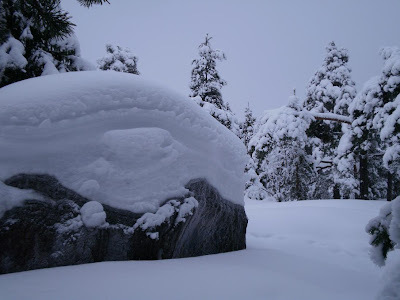 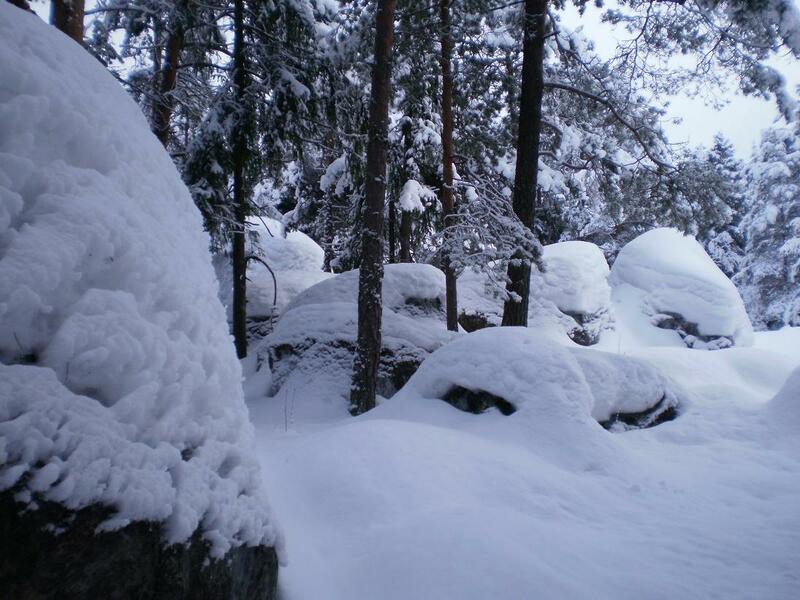 These kind of boulders were formed by the last ice age, and they can be found all over Finland. 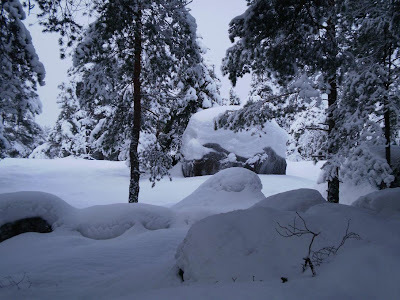 I find them especially picturesque when covered by thick snow. I find this group of boulders resembling a group of sleeping trolls or perhaps Grokes of the Tove Jansson's Moomin-series from some reason.